Box turtles (Terrapene carolina) are land-dwelling reptiles that inhabit regions of the Midwest and eastern United States, as well as parts of southern Canada and eastern Mexico. They can live to be 75 to 80 years old, and have developed a number of behavioral strategies and physical adaptations over time to help them survive. Box turtles are crepuscular, meaning they are most active at dawn and at dusk. During the day, they burrow into the ground to avoid heat. At night, they dig shallow pits to lie in, covering themselves with leaves and other plant debris. The turtles also burrow into the ground for overwintering, hibernating just a few inches beneath the soil. The turtles are protected from predators and extreme temperatures when underground. In areas prone to forest fires, burrowed turtles often escape fire. The bottom shell of a box turtle (the plastron) is hinged. This allows it to close against the inside edge of the upper shell (the carapace). The turtle does this when it perceives a threat, also drawing its head, tail and limbs inside the shell. It emits a hissing sound while closing its shell, due to air releasing as the shell contracts. A box turtle dwells within a home range, i.e., an area where it lives its life from birth to death. It mates, feeds and hibernates within this range. Home ranges can be as small as three acres or as large as 100 acres. 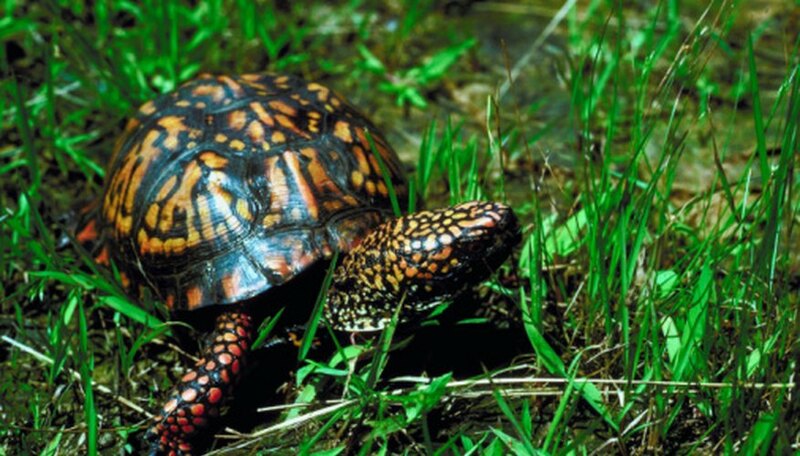 Box turtles have developed a strong homing instinct that allows them to identify prominent characteristics of their home range, such as landmarks and locations of food and shelter. In addition to behavioral adaptations, box turtles have developed physical adaptations that aid survival. For example, their eyes are directed forward. 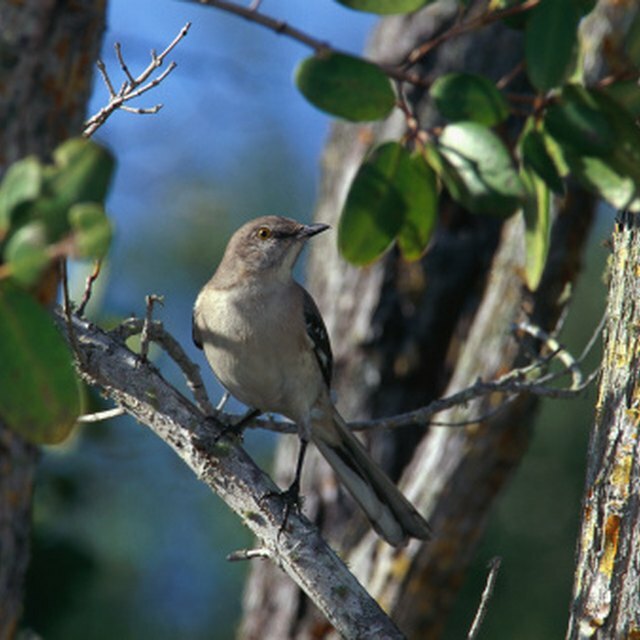 This gives them binocular vision, which aids in hunting. A box turtle's sharp beak is developed to bite plants and crush prey. A capacity for the shell to regenerate after being burned is thought to be an adaptation to aid the survival of box turtles in fire-prone areas. An adaptation that baffles scientists is the ability of the turtle to shut down its extremities during long periods of cold temperatures in order to survive. Reed, Cyn. "Behavioral Adaptations of the Box Turtle." Sciencing, https://sciencing.com/behavioral-adaptations-box-turtle-8517995.html. 25 April 2017.